For a faster and more comprehensive mobile LiveScore experience, you can download LiveScore directly to your phone. 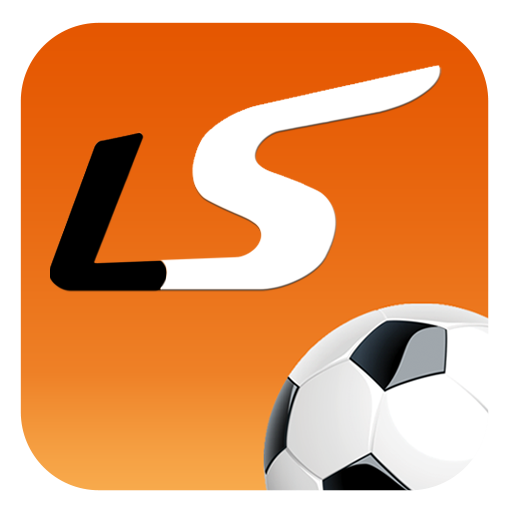 The 'LiveScore: Live Sport Updates' native mobile application is available for download to iOS devices from the App Store, including iPhones and iPads. If you are an Android mobile user, you can download the LiveScore app from the Play Store. 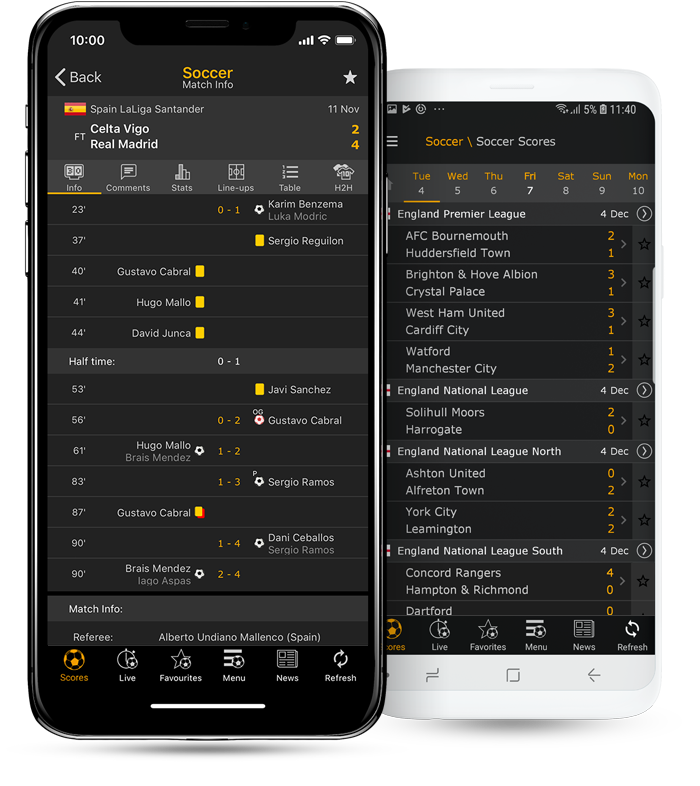 The app contains everything you'd expect from LiveScore on your mobile, including live sport scores for football, tennis, cricket, basketball and hockey. 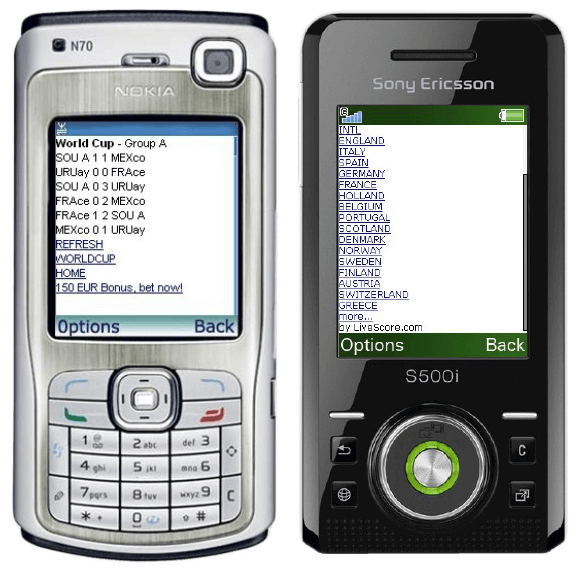 The LiveScore Mobile Web Application is a mini-website optimised for handheld phones, designed specifically for devices including Windows 8 mobiles, Blackberry mobiles and Kindle tablets. Get all the latest scores, results and statistics directly to your device through LiveScore’s dedicated mobile platform at mobile.livescore.com. 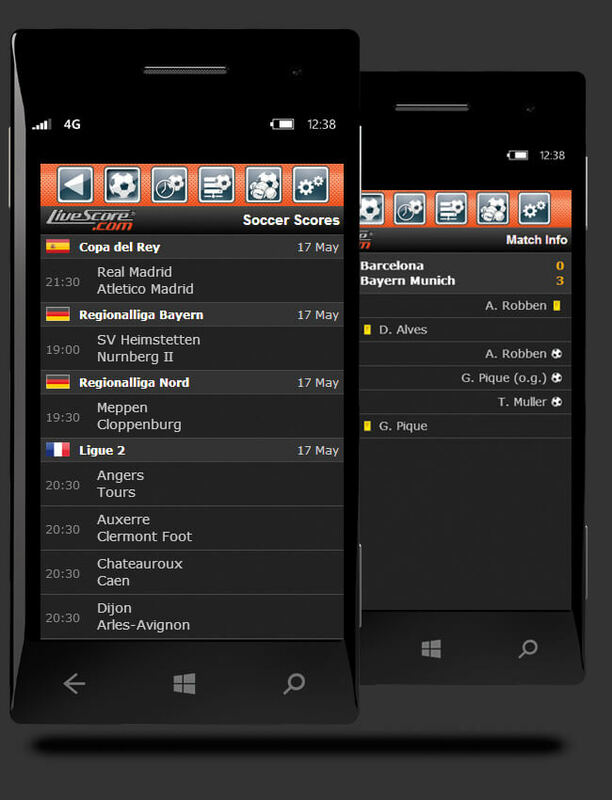 The world’s leading live score service for soccer, cricket, tennis, basketball and hockey directly to your mobile device. LiveScore.com offers a responsive website for optimal use on mobile devices, plus free mobile livescore apps for iPhone and Android. Get your live soccer scores on your mobile plus NBA mobile livescores, NHL mobile live scores and mobile livescore for tennis and cricket.